BMW has found a novel way to promote its new crossover. The all-new BMW X3 is nearly here and that means the big promotional campaign is about to get underway. But BMW is taking somewhat of a more unconventional approach to get people excited about the 2018 X3 with the "On a Mission" launch campaign. Along with the typical TV adds, BMW will also take advantage of its social media channels, specifically Facebook and YouTube, to take viewers on a mission of discovery and life’s passions. That mission is, apparently, located on the planet Mars. With the use of 360-degree virtual reality, you can take the new X3 crossover for a test drive on the red planet. The imbedded video below is just one example. BMW wants us to think of the new X3 as something that’s "free-spirited and independent, always ready to push boundaries." The Mars theme is about exploring things "off the beaten path...and for people who are on a mission." 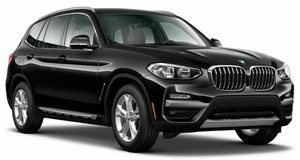 Clearly BMW wants to ditch the previous X3’s rich soccer mom image. "Using virtual reality, the BMW X3 takes customers and fans on the world's first test drive through the breath-taking scenery of Mars — quite literally pushing the boundaries," the company says. Spectacular images and evocative sounds transform the trip to Mars into an immersive experience. During a virtual reality drive across the atmospheric and ever-changing surface of the planet — reminiscent of a Hollywood film — different features of the BMW X3 are presented as part of the "BMW Personal Co-Pilot."